Update: We just learned from Jonathan Wylie that Geddit will shut down this summer. Check out alternatives at the end of the post. 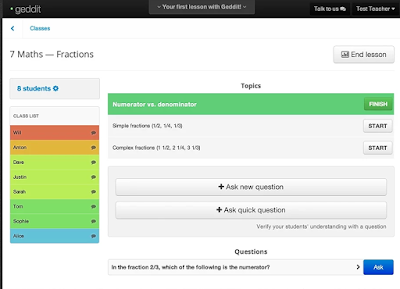 Geddit is a great web tool that allows teachers to check on their students understanding in real-time. 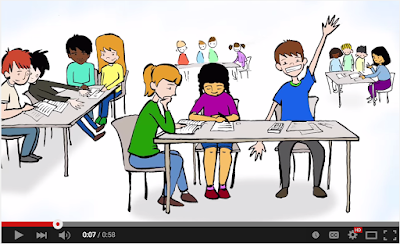 Geddit is a powerful response system ideal for inclusion in your classroom. Students can easily share with teachers feedback about the lessons being taught. All responses are recorded instantly so teachers can identify individual needs as they emerge. 1- "Simply run Geddit during the lesson and start collecting real-time, emotive student feedback as they participate in your lesson. 2- Ask your students to check-in through Geddit, they usually make around 5 check-ins per lesson. 3- You'll see the confidence of every student is color coded on the teacher screen. This information is private, students can not see their peers' confidence. Students who select just one bar appear red on your screen, three bars appear green, and students who've selected all five bars are highlighted in blue." Geddit is also available as iOS app and Chrome app. Watch the video below to learn more about Geddit.